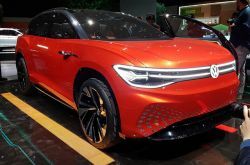 Volkswagen unveiled its new concept SUV called the ID ROOMZZ in Shanghai this week ahead of Auto Shanghai 2019, which opens to the public on Thursday. The fully-electric SUV will join VW’s ID brand and become a flagship model for Volkswagen in China when it goes on sale in 2021. The most affordable car in Volkswagen’s lineup will help the German brand draw younger customers in in China, acting as its own brand. German automaker Volkswagen AG and the Ford Motor Co are still hashing out details of an alliance first announced in June 2018 to work together on self driving cars and other related technology. The two automakers are at odds over how much the VW will invest in Ford’s autonomous driving unit as part of the deal. 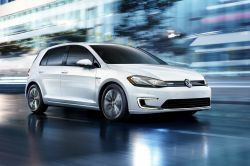 Volkswagen to Invest $800 Million in Electric Vehicle Plant in the U.S.
German automaker Volkswagen AG has announced that its Chattanooga, Tennessee manufacturing plant will become the company's first electric vehicle production facility in North America, state officials announced Monday. 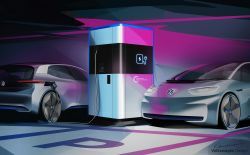 ​German automaker Volkswagen has revealed the first glimpse of its mobile quick charging station for electric vehicles. 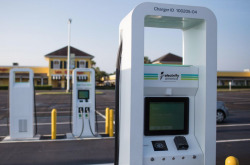 Unlike fixed EV chargers stations, the mobile EV chargers can be brought to areas where EV charging might be in high-demand. German automaker Volkswagen is buying a controlling stake in Volvo’s WirelessCar, a digital service developer specializing in connected vehicle services. A day after Germany’s top automakers were summoned to a meeting at the White House for talks with economic adviser Larry Kudlow to discuss tariffs on vehicles exported from the U.S., Volkswagen CEO Herbert Diess said that VW could use some of the Ford Motor Company's spare factory capacity to make some vehicles in the U.S.
Volkswagen is reinforcing its commitment to a future of just electric vehicles. 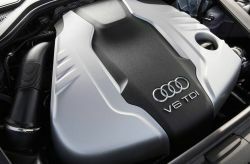 The German automaker announced that its next generation gas powered and diesel engine vehicles will be its last, as the company transitions to building only electric models. 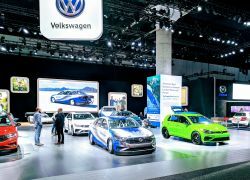 Volkswagen was one of the world’s many top automakers bringing its new models to the Los Angeles Auto Show this week. 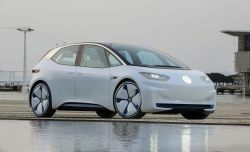 Besides showing off its new 2019 model lineup, the German company announced plans to open a North American factory to build electric vehicles. VW announced that it will convert two more plants in Germany to build electric vehicles, creating what the automaker said will be Europe's largest EV production network. Volkswagen is planning to sell electric cars for less than 20,000 euros ($22,836) and protect German industrial jobs by converting three of its factories to build fully-electric to rival electric automaker Tesla, a source familiar with the plans said to Reuters. 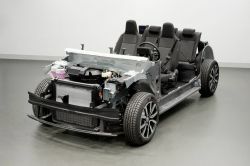 As VW shifts its focus to fully-electric models, the German automaker has build an entirely new modular platform to underpin its future vehicles. The new MEB platform represents an entirely new way of building cars at Volkswagen. 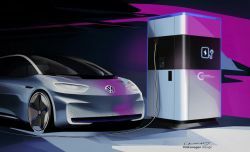 The German automaker’s electric subsidiary announced plans for its second phase that focuses on more charging stations for urban and rural areas with an additional $200 million investment. Volkswagen premiered its new MEB (modular electrification kit) electric vehicle platform yesterday in Frankfurt. 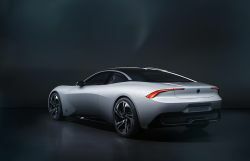 The platform will be the foundation for 27 new fully-electric models the automaker plans to build. Volkswagen plans to build up to 10 million cars using the modular architecture. Volkswagen announced on Thursday that it will stop producing one of the the world’s most recognizable cars—the Beetle. The iconic car is associated with the Volkswagen brand and a enduring symbol of 1960’s counterculture. VW said it would end production of the rounded compact car in 2019. 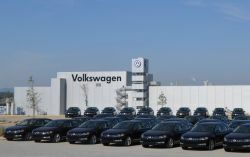 German automaker Volkswagen announced it will invest 3.5 billion euros ($4 billion) by 2025 to build digital businesses and products including a cloud computing-based platform to connect vehicles and customers to offer services such as car sharing. VW plans to be a world leader in e-mobility services.